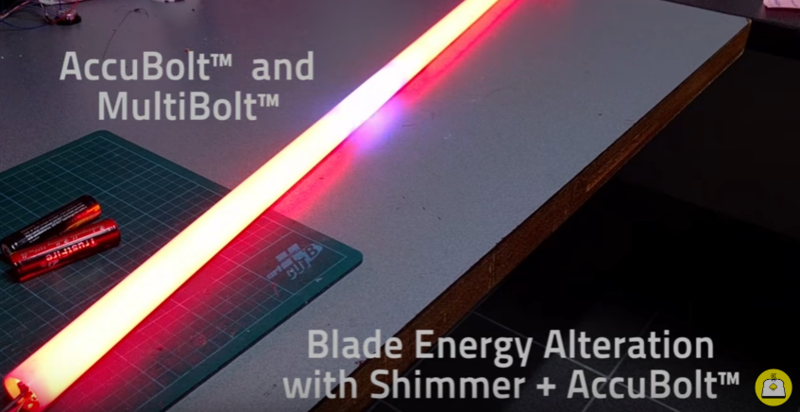 There are a few different folks that produce soundboards for illuminated sabers (lightsaber replicas), but if you ask me, Erv Plecter of Plecter Labs is king of the genre (don’t get me wrong, NEC boards are nice as well). Thanks to his extensive lineup of boards for all price ranges and with a variety of features, Plecter-based sabers are some of the most common sound-enabled blades on the market and are favorites of saber builders like me. They’re just remarkably easy to work with and well laid out. This week, Erv announced some major, major revisions to his catalog. As a matter of fact, he’s releasing a new version of each and every board. The first to be announced was the Nano Biscotte V4 (NBv4). The NBv4 takes Plecter’s popular entry-level board and adds an additional sound bank, more swing/clash sounds, higher current ratings for each channel, and most importantly, a third channel intended to support the data line from NeoPixel or similar LED strips. The third channel can also be connected to a Power Extender (PEX) to enable three channel color mixing on the NBv4. Another notable addition to the entire Plecter line is the inclusion of a protection circuit that prevents the board from frying if exposed to too much voltage or reverse polarity. The full set of new specs and a video of the NBv4 with a NeoPixel blade can be seen below. The second board to get an update is the PRIZM in the form of the PRIZM V5. The new features on the fifth rendition of the PRIZM are mostly the same as those found on the NBv4, but there are a few exceptions. The PRIZM gets the insanely cool AccuBolt and MultiBolt blade effects. Since the board can individually address up to 150 LEDs in a NeoPixel blade, the AccuBolt feature allows highly localized color changing to replicate true blaster deflection. MultiBolt takes the experience even further by properly syncing the light effect with the blaster sound and allowing for multiple blaster hits in a single track. As you can see in the demo below, this is about as impressive as illuminated sabers get and as close as we’ve seen them come to true Star Wars lightsabers. The new AccuBolt feature on Plecter’s PRIZM V5 in action. – [NEW] Enhanced deep sleep with 0.1 mA consumption (12 months of shelf time with a 14500, 36 months with a 18650), no kill key really needed. The new NBv4 and PRIZM V5 boards are available from The Custom Saber Shop here in the United States right now. European saber builders will be able to purchase the boards directly from Erv later this month. I can guarantee one thing: I will be using these boards with NeoPixel blades in future builds.